First and foremost, Happy New Year. I’ve been swampped in the land of client orders, and holiday planning for what seems like 2 months. Add in the fact we hosted 5 versions of Christmas, as well as a baptism over the holidays, and you may understand the lack of posting on here for awhile. 2010 is here and with that comes lots of new plans and ideas in my head. First of all…..VALENTINE’S DAY Mini Sessions! I’ve wanted to do these for the past few years, and I’m now finally able to offer them! Look back soon for a workshop offer for YOU! Yes, that’s right, a workshop for my clients…time to learn how to use that new (or old) dSLR (or regular SLR)! Did the Holidays pass before you managed to get a new photo of your child? Looking for something unique and adorable this Valentine’s Day? I will be offering Valentine’s Day Mini Sessions at the studio in Detroit on January 17th. For $95 you’ll get a 20 minute sessions with 8 proofs promised in an online private gallery for your viewing. The session will also include your choice of 48 – 2.75″x4″ “class cards” or 24 – 4″x5.5″ flat cards. The class cards are a very cute alternative to the traditional store bought valentines your child usually passes out. Tape a heart shaped sucker on the back, and you’re good to go. Sessions will be available from 10:30am-3:30pm. There will also be special digital mini collections available for purchase. Click, mini sessions, to reserve your spot NOW! This year I am excited to offer holiday mini sessions in my new studio! Dress up in your funky holiday colors, your holiday best, or even your holiday pj’s! Mini session will be 20 minutes and you will be guaranteed 8 images from your session to view online and order from. Your session fee includes 25 5×7 flat holiday cards (you must chose from predesigned card options, upgrades are an additional charge). Plus I will donate again, $10 from every session to Joe McIntyre’s Let’s Get This foundation. Portraits, additional cards, bulk image discounts and albums will be available for purchase as well. The Holiday Mini Session gives you the chance to get an updated image for Holiday cards and gift giving, without locking yourself into the cost and time of a full session. You can sign up and pay for your mini session online, Holiday Mini Sessions. To reserve your spot, you must pay the $110 session fee at time of booking. Hurry Up and Sign Up TODAY! If you’ve seen my site or blog at all, you know Miss V. And if you know Miss V, you know her flair for knee socks! I have to be honest, this is the session I look forward to every fall. I want to see what kind of cute and crazy socks mom picks out for Miss V. I have to say she did not disappoint me yet again! I had a blast at this session, and I’ve got to thank dad for helping me explore the building my studio is in! You helped me find some great places to shoot! My Studio , originally uploaded by LilSweetPeaPhoto. You’ll have to excuse the crappy photos. But I must share my secret. I’ve got a STUDIO! I’m not going to lie, I’ve wanted a beautiful natural light since I saw Audrey Woulard’s at her workshop. But I knew the timing wasn’t right for me. I knew when it was meant to be, it would happen. Well, my time is NOW! 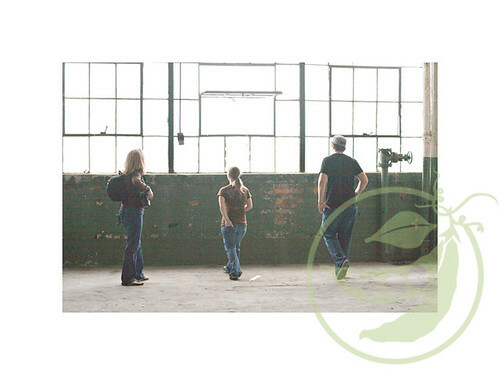 If you modeled for us in Detroit, you already know the building, Russell Industrial Center. I’m going to have an 800 sqft beautiful urban natural light studio. Right now you’re seeing the grungy before images. We will be working on exposing the natural red brick that is under the windows. And we will be painting the walls (both the cinderblock and the drywall) white. I’m hoping in October to start offering sessions in the studio. So check back for some special studio only offers! Never fear, I will still be offering on-location session as well.